Pillar Nonprofit Network & VERGE Capital supported these women in the development of these social enterprises. Learn how these stories are helping to reshape how we view business, nonprofit and leadership. Andre Vashist has just returned from the Social Innovation Residency with an incredible amount of hope, as a recipient of incredible gifts of wisdom. His blog is a reflection of this journey so far, and his opporutnity to share these gifts with you. Read on for some inspiration and great resources on Social Innovation and stay tuned for Pillar’s Systems Thinking Exchange and Workshop coming soon. Pillar to lead social enterprise support across Southwestern Ontario! Pillar to lead a regional social enterprise partnership and launch a $2 million social enterprise investment fund, supported by the Ontario Ministry of Economic Development and Growth. Read more about Pillar to lead social enterprise support across Southwestern Ontario! London's social economy – the intersection of business and public sectors - is poised for persistent growth and is influencing a shift in our economic landscape. The Old East Village Grocer opened its doors, softly, to begin their social enterprise journey and strengthen their mission to support people with disabilities. 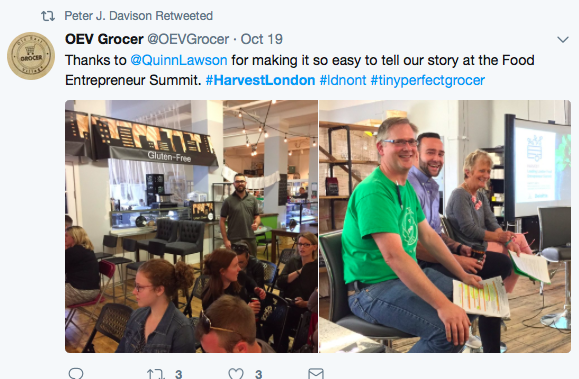 ATN Access Inc. worked on the OEV Grocer business plan for almost two years, and exploring ways to finance a startup social enterprise that would support people with disabilities gain employment. Imagine a day when organizations whose primary mission is social impact — nonprofits, government agencies, and for-profit enterprises alike — use business plans as their road maps. Read more about Enterprise. Social Enterprise. We are excited to welcome two new volunteers to the Pillar team! Sara and Ruiqi will be supporting VERGE and Innovation Works. Pillar’s Community Bond sold out one month ahead of schedule! Innovation Works, London’s only place intentionally designed to encourage social innovation, has launched London's first-ever community bond.